The questions come not from antiwar activists, but from a former CIA analyst as well as American journalists who covered the war. First is a letter drafted by Arnold R. (Skip) Isaacs and a number of respected journalists who make up the “Old Hacks” network — reporters and correspondents who spent years in South Vietnam (Republic of Vietnam) during the war. It challenges the notion emphasized in the documentary that North Vietnam (Democratic Republic of Vietnam or DRV) unilaterally broke the terms of the 1973 Peace Accords. It also questions Kennedy’s emphasis on the $722 million in supplemental aid to the South proposed by the Ford Administration in 1975 “as a genuine chance to rescue South Vietnam from defeat” and overstates the significance of its ultimate rejection by the US Congress. Second are letters posted on Frank Snepp’s web site at http://franksnepp.com/. Frank Snepp was formerly stationed at the U.S. Embassy in Saigon as the CIA’s chief strategy analyst. Snepp is author of the informative Decent Interval which chronicles the end of the war. Among many substantive issues, Snepp sees Kennedy as taken in by Henry Kissinger’s self-serving efforts to evade accountability for the debacle of the war. He further criticizes her for ignoring the responsibility of the South Vietnamese regime led by Nguyen Van Thieu who managed to flee Saigon for Taiwan as soon as he resigned as President. 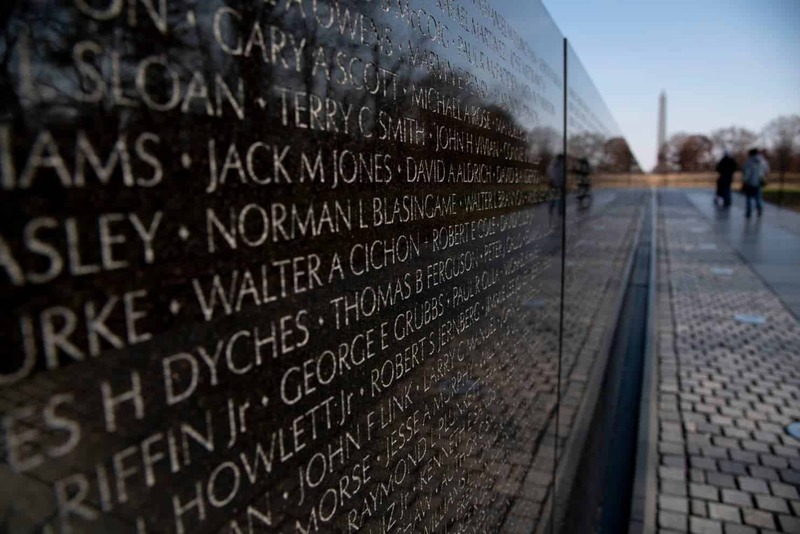 These letters are an example of the opening up of the discussion about the meaning of the Vietnam War which needs to be expanded even further — the goal of our Full Disclosure campaign. 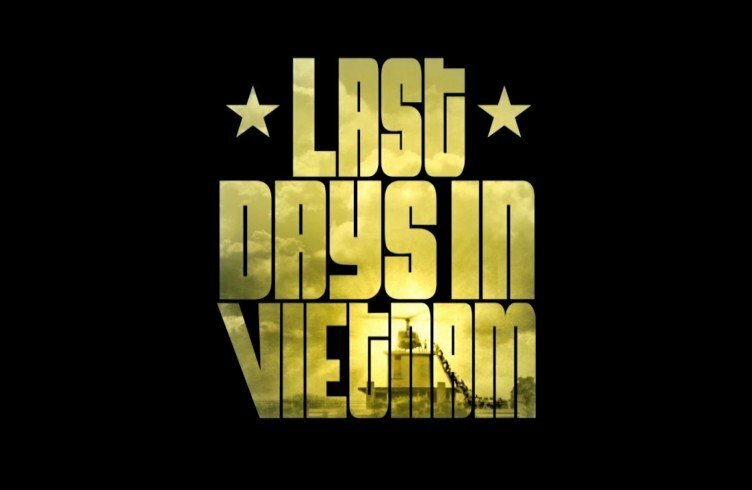 Of all the people who see the Last Days in Vietnam film, no one will watch with more sympathy and understanding than those who covered that war as journalists. 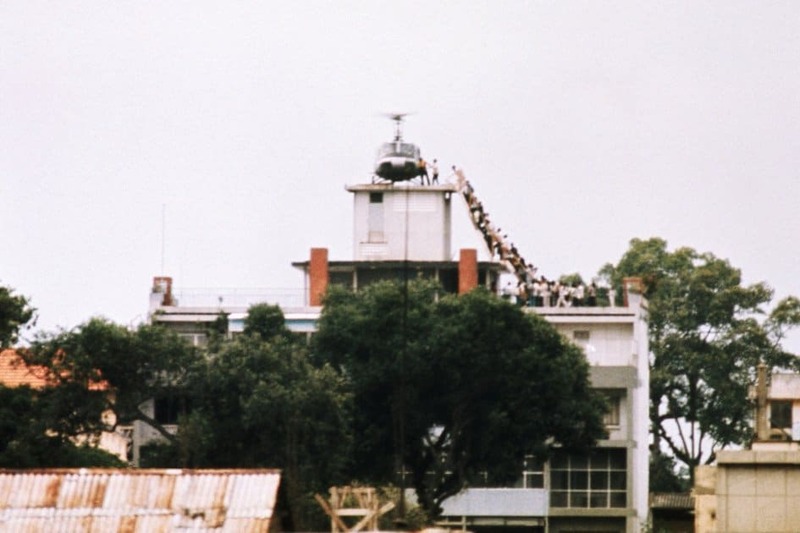 Many of us witnessed the final collapse and evacuation, and quite a few have their own stories, not unlike those told in the film, of helping Vietnamese associates and friends and family members get out of the country in the final days and hours. The story documented in the film is important and moving, and we are glad to see it reaching a wider audience. So we hope you’ll understand that the concerns we are raising in this letter are not meant to criticize the central story or basic nature of the film, and the changes we ask you to consider are not meant to turn it away from its theme or to have it go into any more historical detail than it already does. They’re suggested only in the hope that some aspects of the background of the story will be explained more accurately. The issue that concerns us most is the contention that the events of April ’75 occurred because North Vietnam unilaterally broke the 1973 peace agreement. Whether intended or not, that’s the conclusion the film leaves with its viewers – as illustrated by the New York Times reviewer who explained the background this way: “The Paris Peace Accords of 1973 had provisionally maintained the partition of Vietnam into North and South. As soon as the American forces were gone, the Communist North began to unify the country by force, sweeping quickly through Da Nang and other Southern cities and closing in on Saigon by April of 1975.” The architects of a failed policy would like nothing better than to have NY Times readers and everyone else remember it that way, since it glosses over their own mistakes and cynical policies. But those who covered Vietnam in 1973-75 would tell you, probably to a person, that it is simply not consistent with the historical record. 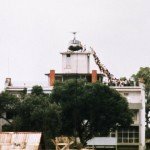 This is not a matter of ideological interpretation but plain facts, which make abundantly clear that both Vietnamese sides, not just one, violated the ceasefire and the political provisions of the Paris agreement, while the United States, pretty much from the day we got our last prisoners back, effectively made no effort to put the agreement back on track. The South and the North both shared the blame for the agreement’s failure. Neither ever made any concessions for a political settlement. Except in a few places during the first few weeks, neither observed any restriction on military operations. Both continued to use military force to the limit of their capability to control every square foot of territory their troops and firepower could reach. Neither ever put peace above their own objectives. The Vietnamese people – those shown in the film and the rest of the population on both sides – paid the price. This is more than just an academic issue. It seems likely that this movie will draw more attention to the end of the war than it has ever gotten before, and will have a major role in shaping the public’s view of those events. Letting a false narrative take root in the public mind would not just be a disservice to historical truth, but would damage public understanding of issues that are pertinent to important policy debates today. 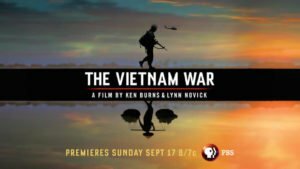 We are not suggesting changing the nature of the film or shifting its focus to tell the whole complicated story or address all the details of South Vietnam’s defeat. But we hope that the relatively limited footage intended to set the scene can be edited to give a more accurate summary of the historical facts: a peace agreement in January 1973 led to the withdrawal of U.S. forces, but neither Vietnamese side observed the ceasefire provisions or took any steps toward a political settlement. Instead both kept fighting for another two years, which culminated in the final North Vietnamese offensive that defeated the South Vietnamese government in the spring of 1975. A second issue that troubles some of us is the portrayal of the final $722 million supplemental aid request that was put forward by the Ford administration on April 10, 1975. 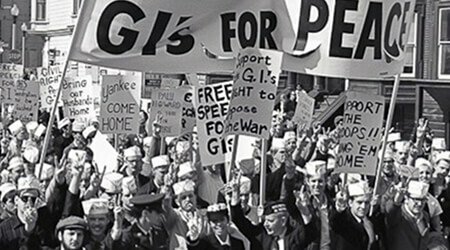 One scene in particular is questionable: the short clip of antiwar demonstrators, presumably included to give a visual image of the loss of American popular support for the war. Using that image to make a point about the 1975 aid debate is misleading, however. The clip has to be from some years earlier, since big demonstrations like the one shown were pretty much over after 1971. This matters because for many years, partisan commentators have tried to put all the blame for South Vietnam’s defeat on the peace movement. That’s clearly untrue, no matter what opinion one may have about the movement and its politics, and we would be sorry to see your film reinforce that false message. By 1973 the great majority of Americans, not just long-haired protesters, were disenchanted with the war. That’s why Nixon pulled out U.S. troops and negotiated the Paris agreement in the first place, and why not just long-time doves but members of Congress across the political spectrum were reluctant to keep paying for South Vietnam’s war. The mass student/counterculture movement against the war had largely evaporated even before the Paris agreement, and played virtually no role, let alone a decisive one, in the aid decisions in 1974 and 1975. The film would be no less powerful without that scene, and we urge you to consider cutting it altogether. A broader question is that the film portrays the $722 million proposal as a genuine chance to rescue South Vietnam from defeat, and suggests that failing to pass it betrayed our commitment to an ally in its hour of greatest need. That was of course the rhetoric of the time, but how much the rhetoric reflected anyone’s real calculation is a different question. By the time of Ford’s request, less than three weeks before the evacuation, South Vietnam had already lost two-thirds of its territory, mountains of weapons and ammunition and other military supplies, and probably half or more of its military manpower. It is doubtful that many of Ford’s advisers really believed that any U.S. resupply effort could change the outcome at that late date. It is much more likely that everyone or nearly everyone involved recognized the aid request as a symbolic gesture of support, with no realistic chance of helping in any practical way (and also likely that some policymakers saw it as a way to blame Congress, and not their own mistakes, for South Vietnam’s defeat). The scenes on the aid debate are not essential for the film’s main narrative in any case, and we hope you will consider giving that thread of the story somewhat less prominence, toning down the unqualified impression that that aid package was a definitive a do-or-die issue for South Vietnam. To reiterate: we realize that the purpose of this film was not to explain the history of South Vietnam’s collapse but to present some compelling and moving human stories that took place in those final days. We don’t want to change that purpose; we applaud it. All of us knew, and some had very close ties with, Vietnamese like the ones who appear in the film – those who were officers or officials in the South Vietnamese government or who had some association with Americans. The film’s stories are important and redeeming and should be told. But this film will be the only thing a great many people ever see about the end of the Vietnam war, and we hope that in telling its main story, it will reflect an accurate and undistorted memory of the war and its end. The signers of this letter are speaking for themselves, no one else, but we will add this about our other colleagues as well: all of us worked very hard and at times risked our necks to write the first draft of that history as truthfully as we possibly could, and we would like to see later histories written in that spirit too. Don North, freelance photographer, 1965-66, Staff correspondent, ABC Radio & TV, 1966-68; NBC TV News, 1970-73; Senior Producer, “The Ten Thousand Day War” CBC, Canada. Tom Fox, Dispatch News Service, New York Times and Time magazine 1969-72. Steve Northup, UPI staff photographer, 1965-66. EXPLANATORY NOTE: The letter above and the comments that follow arise principally from discussions among the Vietnam Old Hacks, a Google group of former Vietnam correspondents. The group also has some members who served in Vietnam as civilian members of the U.S. mission there. (Two of the signers above are in that category.) The site, http://groups.google.com/group/vietnam-old-hacks, is a forum for wide ranging exchanges not just on the war but on contemporary Vietnamese society, history and culture. Anyone can visit the site and read the postings, though only members can contribute. The group is moderated by Carl Robinson, who was quickly nicknamed the Cat Herder, a label he’s happily adopted. Following are selected comments from the discussion sparked by the Last Days film on the Vietnam Old Hacks site. These are in effect supporting evidence for our group letter, contributing additional facts and reasoning on the issues we raised and also on broader underlying issues, principally the terms and nature of the Paris peace agreement and the situation at the time it was signed. These entries have been edited for space and in some cases content has been rearranged, though not otherwise changed. Material in some entries was drawn from more than one message. Fox Butterfield: Thanks to Larry Berman for stating so elegantly what a sham the Paris Peace Agreement was. It was just a fig leaf to let us get our remaining military forces out of Vietnam and get our POWS back. Given the state of public opinion in the US at the time about Vietnam, it was probably all Nixon and Kissinger could get. But it set up the fiasco which we witnessed in March and April 1975. Personally, I felt after watching “The Last Days of Vietnam” that there should be some form of rebuttal of Kissinger’s quote on camera that he and Nixon believed the Paris agreement could produce a Korea-like solution, two independent nations that could coexist for decades. That is totally inaccurate and cynical. When the war stopped in Korea, we left 50,000 troops there, along with nuclear weapons and sizeable airpower, and they are still there. 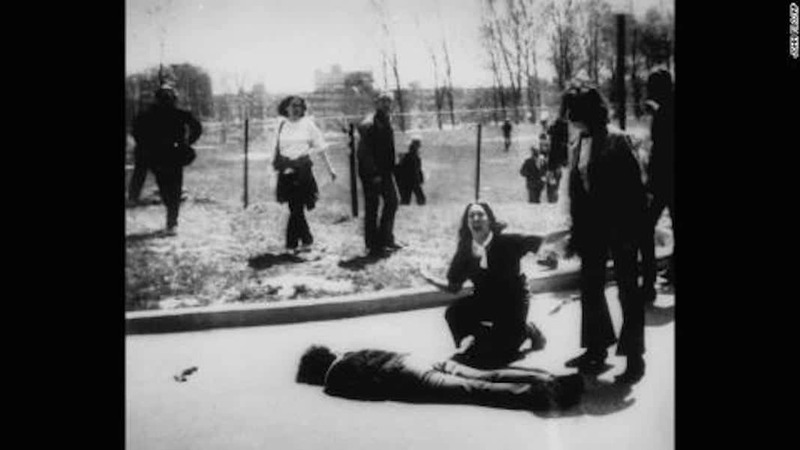 Skip Isaacs: … it was supposed to be a ceasefire “in place”: both sides were to stop where they were on Jan. 28 ’73, creating two zones of control. But there was no map and no procedure to establish who belonged where. The Communists tried to game the situation by sending small units out in the last hours to grab pieces of territory all over the map that they could then claim as occupied at the ceasefire hour. Legally, their attacks before the ceasefire hour didn’t violate the letter of the agreement, but the map at 8 o’clock that morning was a wildly unrealistic representation of the actual battlefield situation (e.g. the Communists had cut every national highway a few miles out of Saigon) and in that sense they certainly were a violation in spirit. Over the next few weeks, the South Vietnamese shot their way back, technically in violation of the ceasefire but by any fair judgment justifiable – and I think it was generally reported this way – in the sense that they were restoring the situation that the agreement actually was meant to create. If they’d stopped after more or less getting the map back to normal, there might have been another chance for much of the shooting to stop. But Thieu didn’t stop, kept SVN on the offensive for the rest of the year, with no restraints on air or artillery or any other warmaking capability, and – in a kind of mirror image of the Communist “land grab” at the beginning – occupying quite a bit of territory that had been legitimately in the PRG zone at the time of the ceasefire. (U.S. intelligence indicated that the South controlled about 15 percent more of the national territory at the end of ’73 than it did at the start of the year.) The level of fighting is shown by the fact that SVN casualties for 1973 – incurred in very large part in offensive operations – were higher than any other year of the war except for the years of the two big Communist offensives in ’68 and ’72; their losses in ’74 would be even higher, more than ’68, and second only to ’72. Meanwhile the Communists were also back to a fullscale war policy. The situation on the political provisions of the Paris agreement was identical. There were supposed to be negotiations for an election, etc etc, with both sides free to campaign and so on. In fact neither side ever took a single step away from its starting positions, and none of those provisions ever was implemented. There too the only fair judgment is that both sides were equally to blame. Mind you, I don’t think the US had much — if any — choice but to accept those terms. It was the only way Kissinger could get what Nixon so cynically referred to as “peace with honor.” But the notion, much adored today by the American right, that if Congress had simply continued to rain money and bombs down on the north and south, all would have been well ignores not only the myriad weaknesses and contradictions in South Vietnam’s political, social and military structures, but also ignores the overwhelming advantage (notwithstanding An Loc, Quang Tri, etc.) that Kissinger gave the North Vietnamese on the ground. While the US did pay lip-service to a democratic form of government and free elections, they were content enough – pleading non-interference, of course – to just let any old thug like Nguyen Van Thieu run the show. And even after it became clear that a strictly military solution wouldn’t work and the troop withdrawals began, the Americans allowed the travesty of the One-Man Presidential Election of 1971 to take place in which Thieu was the only candidate after Nguyen Cao Ky and Big Minh pulled out citing a rigged result. But by this time, the US just wanted to get out of South Vietnam and get its POWs back and needed the “stability” of Thieu to do so. Even the threat of withdrawing military aid wasn’t cutting any ice. Thieu knew he had the Americans over the barrel and cracked down even harder on the non-Communist opposition – with whom I was very close. Properly handled – and I think this would’ve been a brilliant post-Vietnam War Model – the US could’ve come away saying, OK, we made a mess of this place but we’re ready to help fix it up. Why did they continue supporting such a universally hated person like Nguyen Van Thieu for so long? Instead, the game played out and they got angry and walked away – and I’m sure Kissinger took it all very personally. At the same time, given the hard-liners by then running the North, South Vietnam would’ve still gone communist at some stage but without the unnecessary bloodshed and lingering animosity of the 1975. (Don’t forget what happened to not only Third Force folks but the old NLFers after the war too.) But perhaps we’d have ended up with a situation more like today where Vietnam’s looking to us as a counter-weight to China…. The US had got what it wanted at this stage of the Vietnam War – the return of its POWs in return for the withdrawal of the last 20,000 or so American military still in South Vietnam, all within 60 days. But much less certain was how things would go for the Vietnamese people despite the Paris Agreement’s grandiose words – and well-worth remembering all these decades later – that “immediately after the cease-fire” both sides “will achieve national reconciliation and concord, end hatred and enmity, prohibit all acts of reprisal and discrimination against individuals or organizations that have collaborated with one side or the other.” As if it’d be as easy as everyone wandering out for a café sua just down the street…. The Agreement’s military provisions allowed the North Vietnamese to keep its troops – oh, only 150,000 or thereabouts – “in place” in the South but withdraw from Cambodia and Laos and not use those countries, including the DMZ between North and South Vietnam, for transit and reinforcement, like continue using the Ho Chi Minh Trail. (Yeah, sure!) There would be no force to reunify Vietnam. Military equipment could only be replaced on a one-for-one basis. Formed within 90 days, the Council would then organise internationally-supervised elections for a new government. But the remaining articles referred only to the two South Vietnamese parties and – worst of all – that its decisions had to be unanimous. Now holding onto power more tenaciously than ever, the hard-headed Thieu had a veto over any political solution – and the Americans weren’t about to push him into any more concessions. Tracy Wood: I keep being surprised by discussions that indicate the peace agreement was anything more than a way to get U.S. troops home and U.S. POWs released. When I was there while all this was going on, it was a given that Hanoi would wait Snepp’s “decent interval” and then take over. I covered the fighting north of Hue in the months leading up to the cease fire agreement and it was an absolute given that without U.S. air attacks, the south Vietnamese couldn’t hold on. Corruption was a huge factor. Everything including promotions, was corrupt. I remember a U.S. officer going on at length about how impossible it was to work with his counterpart because of the corruption. Everyone seems to gloss over that but from what I remember, it was and sounds like still is a massive problem for both the old South Vietnamese government and the government today. … Here’s a bit from book eight other women reporters and I wrote about our Viet experience. “We today have concluded an agreement to end the war and bring peace with honor in Vietnam and in Southeast Asia,” President Nixon announced to the world on January 23, 1973. No one—including, it seemed, top newspaper editors—understood why there was no celebration in South Vietnam. The tubercular old cyclo driver who stationed himself outside the UPI office each day, reading his newspaper and waiting for the fares that would send him gasping down Tu Do Street, told me what it meant: The United States was getting its prisoners back and abandoning South Vietnam. It was only a matter of time until North Vietnam took over the whole country. “The people of South Vietnam have been guaranteed the right to determine their own future, without outside interference,” Nixon’s announcement continued. “The United States is forsaking us,” translated Vietnamese in cafés and soldiers shopping on the black market.”…. Living near Little Saigon I’ve had a chance to watch changes over the decades. Initially the view, yes, was it’s all the Democrats fault and Saigon leaders bore no responsibility. That’s when virtually all Viet immigrant voters registered GOP. But that generation is quite old or even gone. True, Little Saigon politicians still call each other “Communist” over the slightest disagreement, but voter registration in the heart of Little Saigon–Westminster and Garden Grove–is close to evenly split now between GOP and Dems with voters who belong to no political party a rising influence (true throughout Calif.) The younger generations I meet seem to be distancing themselves from the mantra that one day the GOP will give their leaders the money and bombers to retake Saigon. Most of the younger generation I run into seems to be trying to live the same kinds of lives and ambitions as anyone else their age in the U.S., and at the same time not hurt the feelings of grandparents and even great grand parents. Loren Jenkins: Having been there during that period, my take was always that the system was basically rotten to the core and in no way could have or would have survived on its own. One little anecdote that always sticks with me was a trip in 1974 I made with Thieu’s then Minister of the economy (whose name I forget). We flew up north by helicopter, stopping first in Danang, then Hue, while he chatted on about how viable South Vietnam was and how great the future looked. But at each stop we were driven to the ARVN command base in both those cities, followed by a pickup up full of suitcases. At each stop, our good minister gave the top ARVN brass, generals & colonels all, a most lively pep talk, then, with me looking on in amazement, he proceeded to open suitcase after suitcase and hand out stacks of brand new $100 bills as the commanders, who would later flee their troops at the first sniff of the NVA moves across the DMZ, lined up like school boys at a candy store for their handout. Each got a stack of lucre, the size determined by their rank. 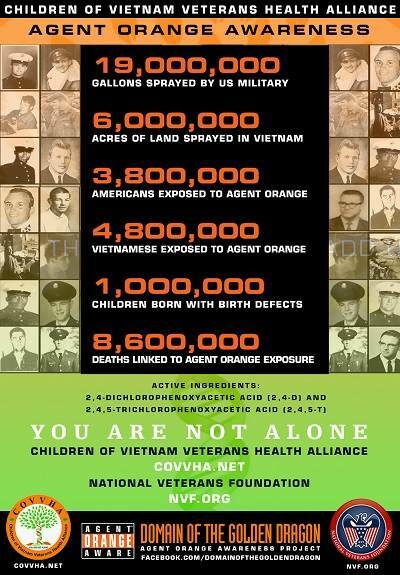 The corruption in evidence was staggering and I was little surprised when, but some six months later, these same ARVN cut and ran leaving their troops behind. I’d be surprised if Cotton’s or Jackson’s or Mahon’s comments were caught on film, but if they were, those are the clips that would capture the post-1973 politics on Vietnam aid, NOT clips showing generic student protesters in a demonstration from several years before. … It shouldn’t have taken supernatural powers to realize in 1973 and 1974 that massive U.S. support would not last indefinitely, and that the Thieu strategy was not sustainable. And you didn’t need to be a military genius to understand that instead of gnashing teeth about how they’d lose the war without more aid (which was the overwhelmingly prevailing line from both the South Vietnamese and the Americans) they’d have done a lot better to try to figure out what territory and population they COULD defend with their diminished resources. A few American officials tried sporadically to nudge Thieu toward a more realistic strategy, but that was undercut by constant public assurances of American support for his policies – which Thieu understandably chose to believe instead…. One startling example is that long after the ceasefire, the U.S. command in Thailand continued to operate a hotline with the four ARVN military region headquarters, over which they routinely sent target lists for putative B-52 strikes (which were assumed in ARVN’s contingency planning). This went on long after Congress outlawed further bombing in SE Asia; presumably the Americans were afraid that cutting off those requests would be too damaging for South Vietnamese morale…. You can never prove a what-if, but I’ve always thought that if the South Vietnamese had been more realistic about what they could defend with the resources they had (and even with the aid cuts they still had a lot more firepower and weaponry than the North), their government might still be sitting in Saigon…. Carl Robinson: I was no fan of the Saigon Regime but I think we were all surprised at how quickly everything happened. For example, I know that it’s quite fashionable – especially inside the Vietnamese refugee community – to blame the Democrat-controlled Congress for cutting back US military & economic aid after ’73 as the main reason for Saigon’s defeat but the reality is that there were much more fundamental problems at work…. There is some truth to the argument that a sharp reduction in American aid, air support in particular, was fatal to ARVN morale. They fought creditably at An Loc and Quang Tri, and, what was left of them, at Xuan Loc, but in general the ARVN battalions were convinced that they couldn’t defend without the B-52’s. Nor should we overlook the political failure of the Thieu regime. 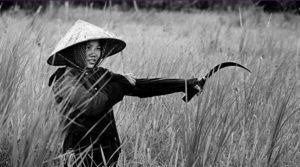 From 1969 up to 1974, at least, 95% plus of the south Vietnamese population was living in genuinely peaceful areas. Some things were done right – land reform in particular. The economy was functioning again and the RVN had the beginnings of a technologically competent, English capable middle class. There were all the trappings of democracy. However, Thieu was unwilling to allow democracy to work. Truong Dinh Dzu was jailed after he had the temerity to run against Thieu on a peace ticket in 1967. Carl will doubtless attest that opposition (or ‘third force’) deputies were relentlessly watched and harassed. Rather than let Big Minh run against him in 1973, Thieu manipulated the arrangements and maneuvered Minh into dropping out of contention. Ellsworth Bunker, bless him, worked very hard to make a hero of Thieu but the man (and Hoang Duc Nha, Bui Diem and others close to him) lacked both vision and confidence. Ky by then was marginalized, but he wouldn’t have been any better. Consequently, for many Southerners, the system wasn’t worth fighting for. Bill Lenderking: …There were many aspects to the American effort of which we can all be proud, regardless of our politics. One was the effort in the final days to help Vietnamese who worked for us to get out; that effort unfortunately is besmirched by the obfuscation that prevented more of those deserving to get out before the takeover. Another was the massive effort to accept one million Viet refugees into the US, and to actively assist in the resettlement of hundreds of thousands more to other countries. I don’t think there’s any hard evidence that such a high percentage of the population was living in peaceful areas… some areas were “quiet” because the VC controlled them. But the usual situation was that Saigon held the urban areas: district towns, provincial towns and the big cities, the VC had the rest. If not during Saigon military operations, then at night, which is the crucial measure. Something like 80% of the population then was rural, minus, of course, a few million “displaced” by military operations. The VC also used the urban areas for shopping; I mean buying supplies they needed. If the 95% comes from the Hamlet Evaluation Survey, it was fiction. I compared notes now and then between places I’d been in the countryside and knew from the US advisors there what was really going on- and the MACV computer tabulations. The reports filed by US and Vietnamese out in the districts were of course fluff to make everybody look good…. The relative absence of VC in many rural areas after Tet casualties was an opportunity for Saigon that they could never exploit because they just didn’t have the will. Fox Butterfield … My editor at The New York Times ordered me to go back to Saigon from my post in Tokyo in early February 1975…. A few days in Pleiku and Kontum provided ominous signs that North Vietnam was busy preparing a big attack in the Central Highlands, and equally ominous signs of serious dry rot in ARVN. From three people I knew, a South Vietnamese intelligence agent, the lone remaining American military intelligence officer in Pleiku and a CIA agent in Pleiku, I was able to piece together details of the roads the Communists had been building in the jungle for their coming attack, the names and locations of the North Vietnamese army units that had infiltrated the Central Highlands in the past two months and their objectives, specifically cutting the two highways leading out of the highlands to the coast. The story I wrote, based on this information, ran in The Times on February 20, buried deep inside the paper. But the Communist offensive began a little less than a month later almost exactly as my sources had predicted. The Embassy, Graham Martin, the Pentagon and President Ford all should have known. A captured North Vietnamese directive issued just before the offensive began pointed to three factors that could cause an ARVN collapse, though it was not expected to be final for another year. First, the South Vietnamese had always depended on American airpower to help them, as during the Easter Offensive in 1972, but that was no longer available. Second, corruption and poor leadership in ARVN, which was particularly poor in the Central Highlands. When I was there in February 1975, a number of ARVN officers and senior provincial officials were selling heroin to their own soldiers, apparently from stocks accumulated from Laos and meant to have been sold to American troops before they were all pulled out sooner than the drug dealers anticipated. According to a South Vietnamese military document I was shown, at the time the offensive began, up to 30 percent of the South Vietnamese combat soldiers and airmen in Pleiku were addicted to heroin. The third factor the North Vietnamese believed would help them, as their own directive suggested, was the drastic cutback in American military aid that had followed the signing of the Paris Peace Accords and the war weariness in Congress. American military spending for 1975 was reduced to $700 million, half of what President Ford had requested, and there were shortages of everything. Troops in the field in the Highlands were allotted two hand grenades per patrol; 105-mm and 155-mm howitzers were limited to firing four rounds a day; helicopter flying hours were cut by 80 percent to save fuel, and some pilots flew only five or six hours month. At the big Pleiku air base, a number of fighter bombers and helicopters were grounded for lack of spare parts. … These shortages were real, and in some ways what was worse was the psychological effect. For an army trained by Americans to expect unlimited air support and ammunition, they could not envision fighting a poor man’s war in the jungle. They read the handwriting on the wall, as an American military officer who served many years in the Highlands told me at the time, “And they decided to bug out.” Which was what happened – a complete rout, with very little fighting. Memo to Jane Fonda: Will You Please Stop Apologizing?